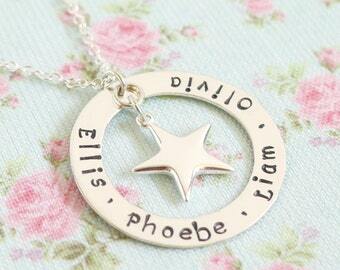 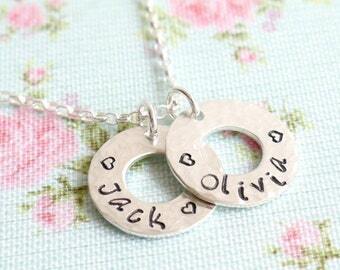 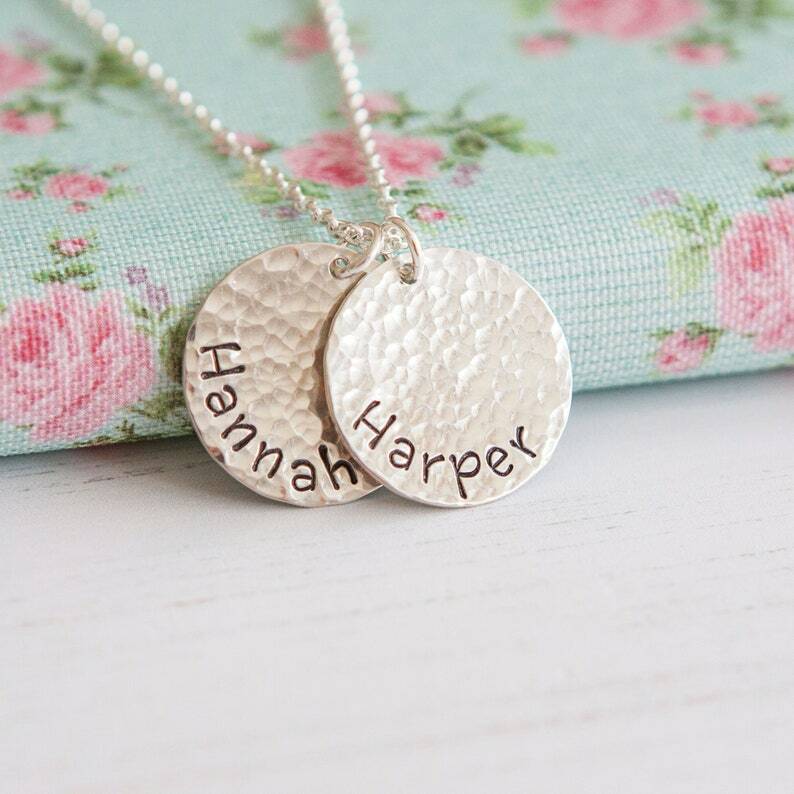 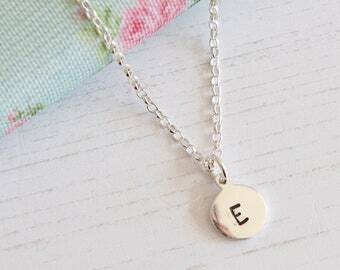 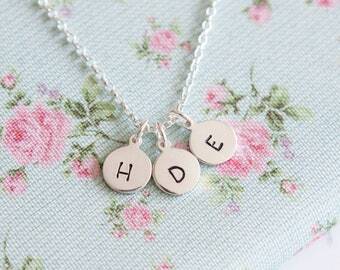 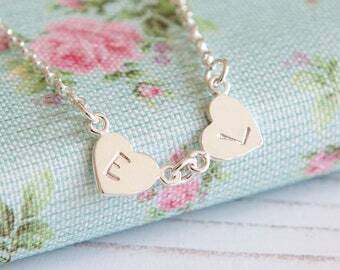 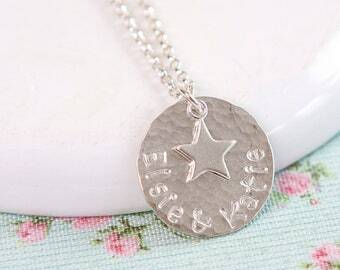 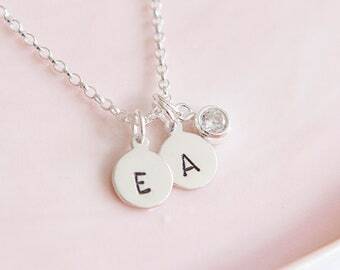 This disc necklace with children names is the perfect Mother's Day gift to make any Mum smile! 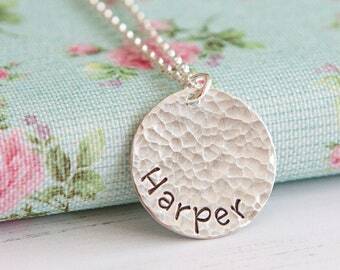 This hammered (which makes it super sparkly!) 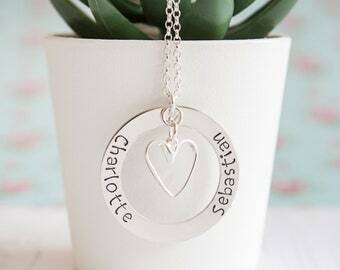 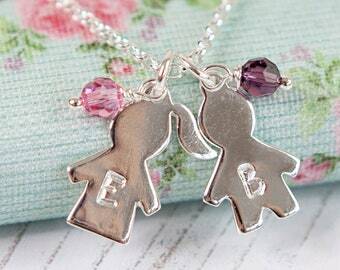 sterling silver necklace also makes a great gift for grandmothers, grannies & nannies too. 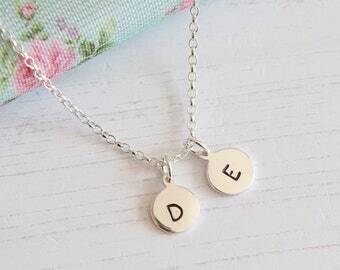 Your necklace will ship within 1-2 working/business days after purchase. 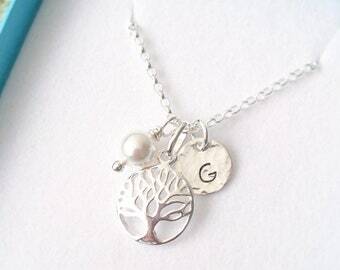 Wonderful quick service and communication, and very sweet necklace and packaging!